After experiencing success with free range ducks, and a successful coturnix quail hatch, I decided to get back into the game bird business. 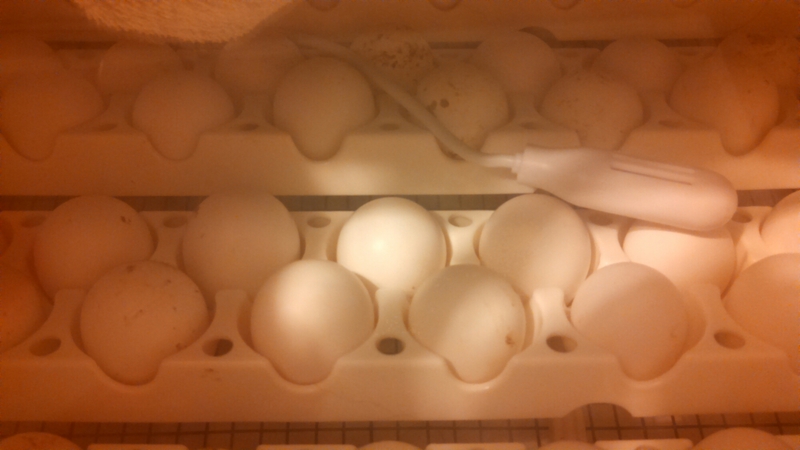 I installed my quail rails into my automatic rotator, and put 93 bobwhite quail eggs into the incubator. 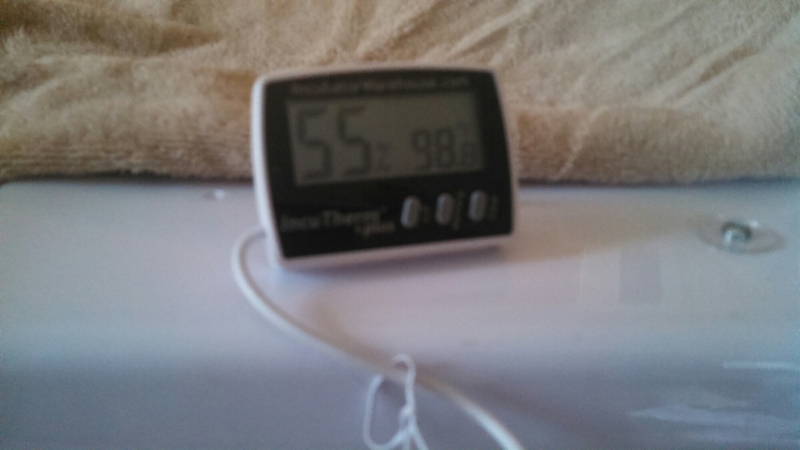 I got a new thermometer/hygrometer that was designed for incubator use. My Accurite thermometer is a household thermometer and is not necessarily accurate for incubators, and the numbers quit working. I should hopefully have quail hatching in 23 days.